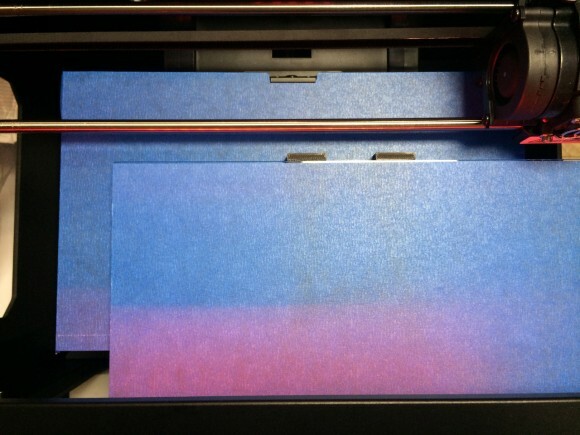 The Removable Heated Build Plate Upgrade for MakerBot Replicator 2 3D printers from BC Technological Solutions is a must have upgrade for anyone with a MakerBot Replicator 2 3D printer looking to add HBP capabilities for example to print with ABS or other filaments requiring it. The upgrade kit from BC Technological Solutions may not be the cheapest solution out there to provide you with a Heated Build Platform, but is probably the best in terms of ease of installation and ease of usage. The BC Tech upgrade kit will cost you $175 USD without the shipping and you would need to also get a more powerful power supply capable of at least 9.2A @ 24V if you are using Replicator 2 (another $100 USD or so). The upgrade kit is also compatible with Replicator 2X, but there you already have HBP by default though not as good as this one, as well as with Replicator 1 3D printers and some clones of these devices such as Flash Forge Creator, though make sure you order the specific version you need. The standard power adapter of the Replicator 2 is a 24 Volt 6.25A and this is not enough to handle the additional power requirements of the Heated Build Platform. 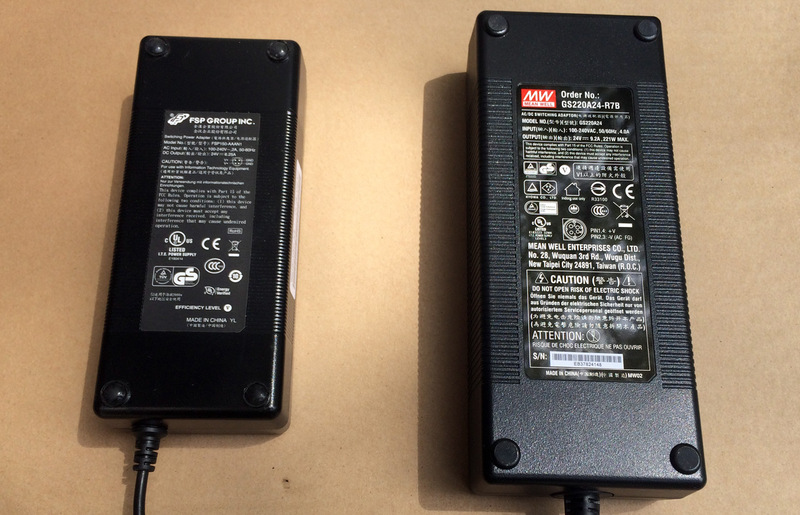 So we have purchased a compatible 24V 9.2A power adapter from Mean Well (GS220A24-R7B) that can be plugged in directly in the printer without the need to modify the adapter connector. If you get a more generic 24V power adapter with a different connector you may need to replace the connector, BC Tech sell a power supply connector for $6 USD that you can use to make generic power supplies compatible with the Replicator 2. So make sure you get a power supply that meet the requirements and preferably has the right power connector already to save some trouble like we did with the Mean Well PSU that is ready to be plugged in and works just fine. We have mentioned that the installation procedure is very simple, you remove the standard build plate of the MakerBot Replicator 2 3D printer and attache the new aluminum HBP plate with a heating element on bottom. 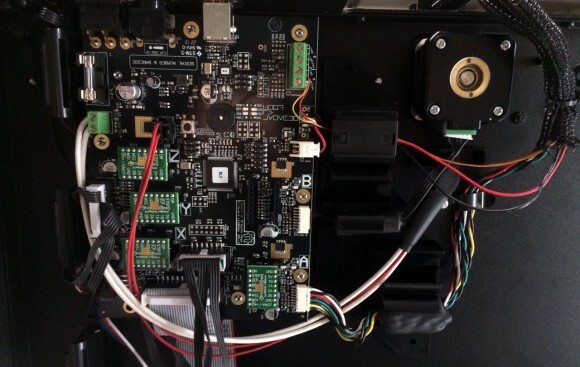 You route the cables trough a hole on the bottom of the printer case (you need to remove a plastic cap first) and can directly connect the heating element and the thermal sensor to the main board of the 3D printer – the have dedicated connectors available, so no soldering or anything like that is needed. All in all you can have the new HBP installed in less than 30 minutes when you have everything needed available and be ready to start using it, unlike for example the much harder and more time consuming installation of the Aluminum Arm Upgrade from BC Technological Solutions that we have also recently installed. Now, after you install the new HBP upgrade you can notice how convenient the removable glass plate can be after you print something in order to easily remove it from the build plate. The glass build plate is attached to the aluminum base with magnets, so it is being attached with enough strength, but is still easy to be removed when needed. Thanks to the removable glass build plate we have seen a significant reduction in the number of times we need to readjust the build plate height between prints compared to using the standard 3D printer build plate. 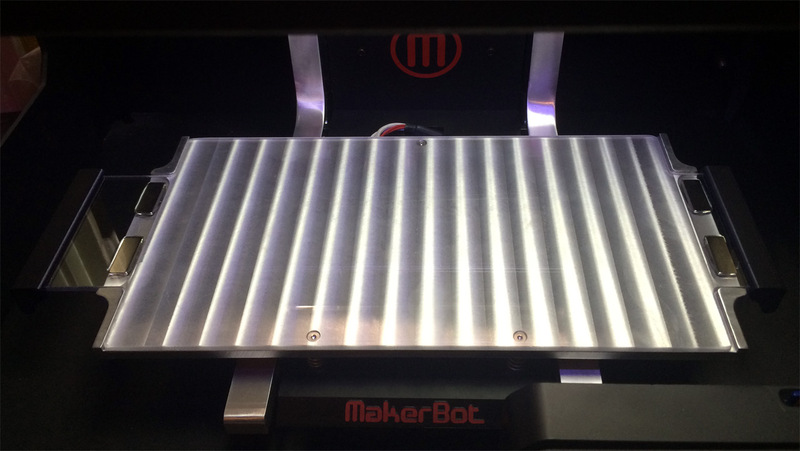 Again we are going to say that in our opinion the Removable Heated Build Plate Upgrade for MakerBot Replicator 2 3D printers from BC Technological Solutions is a must have upgrade for anyone with a MakerBot Replicator 2 3D printer. 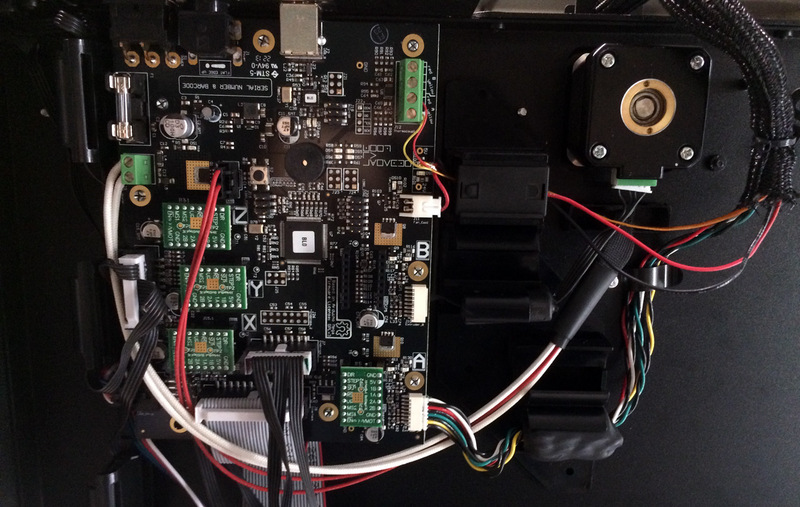 That is if you want to get an easy to install solution and one that works great and problem free and actually makes your life easier working with the printer even when hot using the heating feature of the build plate. Our 3D printer, the MakerBot Replicator 2 as well as many other models do come with a plexiglass (acrylic) build plate and while you might have no serious trouble printing smaller 3D models on it, you may experience some issues when you start using more of the available build volume. 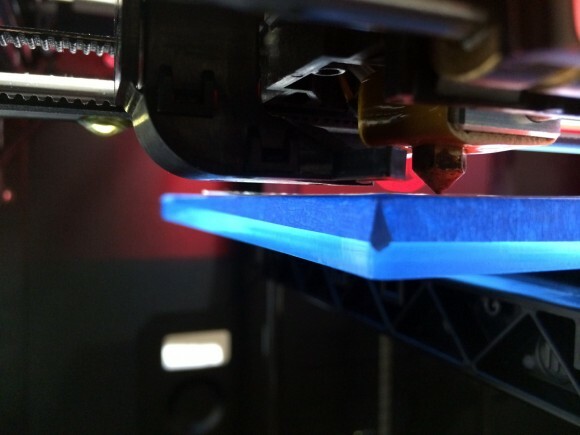 The problem with the plexiglass build plate is that it is not that even as it may appear and every millimeter and even a part of the millimeter may be important when 3D printing something. In our case the Replicator 2 did have about 1 millimeter difference between the printing nozzle and the print bed at the edges as compared to the gap near the center of the build plate. This is easy to notice when you level the build plate using the three closer to the center points and then the print nozzle moves at the left and right edge of the build plate. What we did was to look around for an option for a glass build plate for the MakerBot 2, there are quite a few options available. Even Makerbot offers a glass build plate upgrade for the Replicator 2, however it comes at a pretty high price of $250 USD. So we have opted out to go for an alternative solution that should provide the same results at a much affordable price. After checking a few alternatives we have selected to use the Performance 3D GLASS BUILD PLATE for Makerbot Replicator 2. This upgrade is available for just $50 USD without shipping and does provide much better results. We’ve received it and have already installed the new glass plate and the results are really great – the new plate is really even across the whole surface when leveling it. So we can definitely recommend this glass build plate as a great and much more affordable alternative to the original glass upgrade from Makerbot. We have ordered some other of the Replicator 2 upgrades offered by Performance 3D, so we are going to be installing them as well and trying them out very soon as well.